One of the post-conference activities available after the Association for African-American Museums (AAAM) Conference in Memphis was a tour given by the Memphis Heritage Tours Company, run by Elaine Turner, a highly respected longstanding member of Memphis’s African-American community. We chose this tour partly because it allowed us to cover two more Memphis museums and gave us a chance to spend some more time with new AAAM friends. The first major stop on the Heritage tour was the W.C. Handy House Museum. I knew nothing about W.C. Handy before this trip, so I was surprised to learn that he was called “the father of the blues.” According to Ms. Turner, he made clear that he did not invent the blues. He just happened to be the one to first write and publish blues songs. Handy’s father and grandfather were both born into slavery and both eventually practiced as AME pastors. Handy was born in 1873 in Florence, Alabama where, today, there is another museum in his honor. Handy’s first instrument was the pump organ, and eventually he went on to play the coronet and of course, the trumpet. Ms. Turner told us about a rift that developed between Handy and his father, who accused him of playing “the devil’s music”. She said that it was only after some friends tricked him into attending one of Handy’s concerts that W.C. Handy got his the elder Handy’s blessing for his secular music career. 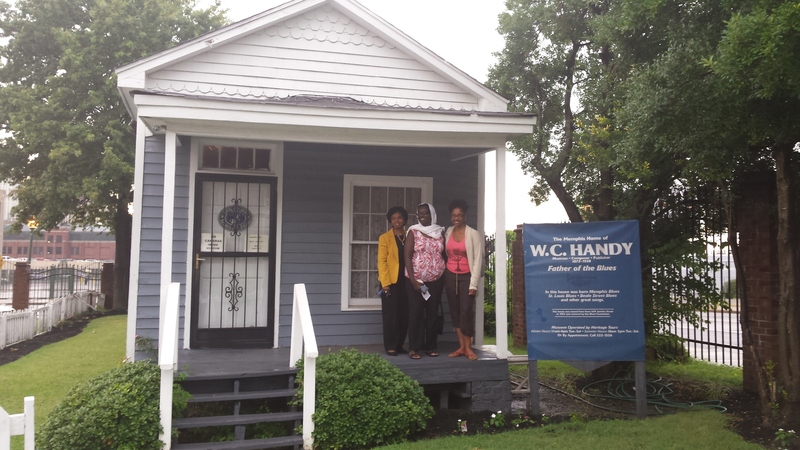 The house is small and crowded with souvenirs from the years of showcasing W.C. Handy’s life. Framed photographs, sheet music, and documents line the walls. One photo that stood out was a family photo of Handy, his wife, and several of their adult children with their spouses. In the photo, all of the men are smiling broadly while the women maintain solemn, serious expressions. I couldn’t help but wonder about the gender dynamics of the day that would lead to the unfamiliar patterns of expressions in the image. Unfortunately, photography was not allowed in the house, so you will have to travel to Memphis to see the photo. Before we left the Handy house, Ms. Turner highlighted the triumph that was Handy’s life. Born to a former slave, he died in 1958 in his family’s big, beautiful New York home. 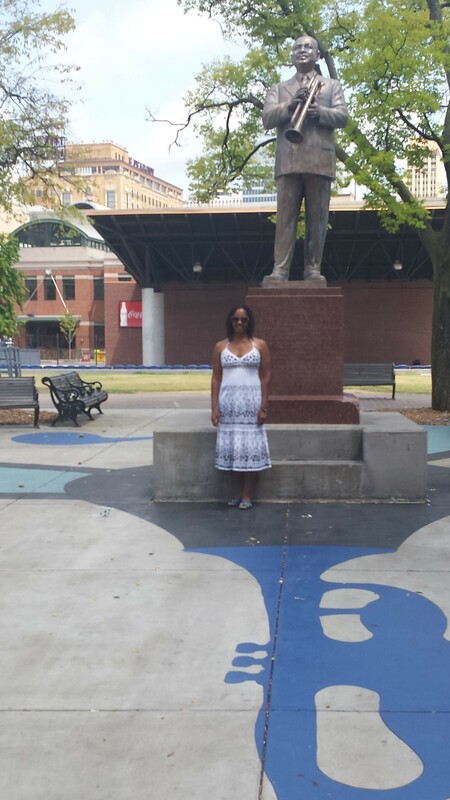 Then, his likeness, the first statue of an African-American in Memphis, was erected just two years later. 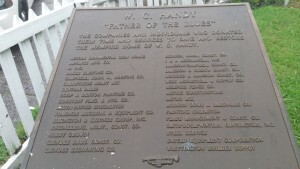 Handy certainly earned such recognition, and this house museum showcases Handy’s work and his family life, calling special attention in Memphis to details about the man that people typically miss. Check back next Monday, October 19th, to read about my visit to the Slave Haven Underground Railroad Museum.